I don’t know what the state of the world will be like this first Sunday of 2019, because I’m writing this review from the depths of Brexit mania in December 2018, but I do know that this historical fiction for readers age 9+ will still be relevant. 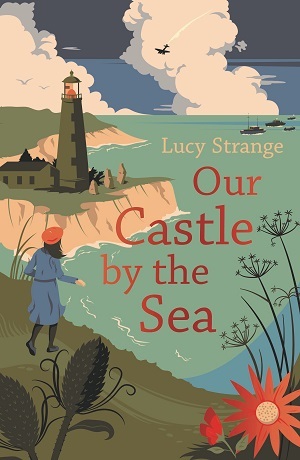 Our Castle by the Sea by Lucy Strange is set in a lighthouse overlooking the sea – looking out towards Europe from our tiny island – and the book, like the lighthouse, takes a wide perspective on our world – on conflict, family and belonging. It is 1939 and Petra lives in a lighthouse that dominates a landscape of secret tunnels, sweeping beaches, and ancient legends. Stormy skies above are swiftly being overtaken with enemy planes. To complicate matters, Petra’s mother is German, and before long the police suspect that spying activity is going on within the lighthouse and ‘Mutti’ is interned for being a foreign enemy. Strange’s attention to detail creates a filmic picture in the reader’s mind – in a visually notable scene the family have to paint the lighthouse green to camouflage it – and Strange also details the lighthouse’s workings and logbooks. There is another fabulously memorable scene in which Petra tries on a gas mask for the first time – the sensory feelings invoked feel authentic as if Strange has experienced it first-hand. Strange also ties ancient legend from the location into Petra’s situation: the nightmare of the legend of the Wyrm, the swirling treacherous waters that devour ships off the coast, comes to life in the danger that stalks ordinary people in wartime. And yet there is also the extraordinary dichotomy of carrying on life as normal whilst things are clearly not normal in wartime. Strange explores this with her controlled plot and confident writing. There is a clear sense of a family trying to swim when all about are sinking and no one is willing to throw a lifeline. Historical fiction works best when it gives an accurate portrayal of how people once lived and excavates the social fabric of their lives, and also when it manages to invoke thoughts in the reader about their current situation – and fundamental to Strange’s plot is working out where people’s allegiance lies – and where the finger of suspicion is pointed. Not all is as it seems in Petra’s life, people hide who they are and what they are doing, and as she uncovers the truth, so does the reader, triggering thoughts about the still common practice of attributing labels and stereotypes to people – framing them within a pre-conceived identity. Historical novels can be a great indicator of the present day. Not unlike Letters to the Lighthouse by Emma Carroll, published for children last year, the landscape is fundamental to the plot, and it provokes thought on what we make of the structures and landscapes we inhabit. Strange doesn’t hold back on her fiction just because it’s for children, and this is another powerful novel from a skillful writer. Absorbing and truthful, the characters are a far cry from the stony coldness or petrification that the name Petra implies. In fact, they show bravery, compassion and emotional strength – something we could learn from, entrenched as we are in our present political turmoil. You can buy yourself Our Castle by the Sea here, and be transported to its wild coastline and wartime experience. Piers Torday has taken Narnia to heart in his latest novel, The Lost Magician, writing it he says as an homage to Narnia. And although there is no Christian allegory, there is definitely much ‘supposing’, and a supposition of a world that mirrors our own in presenting conflict and argument and much darkness, except that, in Torday’s Folio (his version of Narnia), there are talking bears and a self-doubting unicorn. It is 1945 and Simon, Patricia, Evie and Larry have survived the Blitz, despite the scars it has left on their memories. They arrive at Barfield Hall, a country house, where lives a female professor involved in experimentation revolved around imagination. Through a portal in a strange library in the attic they stumble across a world called Folio – an enchanted kingdom of bears and knights and other creatures found in stories, but also of futuristic fluid metallic robots. These two factions are at war, and the children’s learned horrors of their own war teaches them that they must stop this war, the key to which is finding the lost magician – the creator of the library who has been missing for centuries. On the surface this novel is a good classic adventure story, with a cast of empathetic children who feel far more authentic than the Narnia quartet, with an intrusion of real world scars into their psyche. Simon, the eldest, has his perceived ideas of masculinity on display, wanting to show his prowess to emulate his war-hero father. 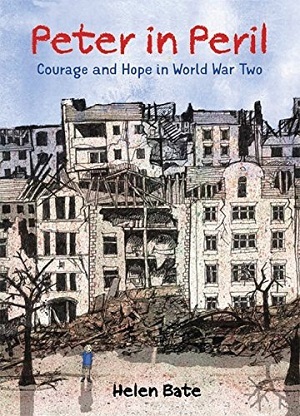 Evie experienced trauma in the war, whereas for Larry, the youngest, shown still clutching his teddy and bumping him up the stairs (a la Christopher Robin and Pooh), the rubble of the Blitz was merely a grand landscape for exploration. With them all, their witness to the horror of war informs their decision making. And the world of Folio that Torday has conjured feels as well-drawn as Wonderland. The reader can see the beauty of the green countryside of fairy-tale land – the house of the three bears, the trees, the fields, the wind buffeting the foliage. And yet also, all too clearly, the metallic glint of the oppositional city, with its enduring light glowing like a beacon of future possibility, and the metallic people, strong and upright. So on one level this is, as Narnia, a simple trip into a new world through a portal in the old, told in gripping, pacey language with tension and pathos and humour, with Torday’s marvellous descriptive language carrying the reader through with a light touch of his magic pen. And yet, there is so much more when one looks beyond the surface enchantment. Of course there are literary allusions within the text. Nuggets of Narnia are dripped like gold leaves into the novel, and any novel that uses a library as a portal is bound to make use of the literary canon of children’s literature, and a particular action sequence reminded me of Raiders of the Lost Ark…. But peel further, and the layers of the novel reveal much much more. Whereas Larry enters Folio through the shelves of ‘Read’ books – representing fiction, Evie enters through the UnReads – the books that represent the facts of the future, the non-fiction. And there is still another shelf in the library through which no-one enters, but which poses the greatest existential threat of all – the Never Reads. These represent ignorance. When the children enter Folio, they discover that the Reads are at war with the UnReads – a clash of fiction and fact, of fairy tale characters and fact-based sci-fi robots. Larry chooses the Reads, as one would expect from the way he treats his teddy as a live being. Evie ‘betrays’ the other children by choosing the UnReads, wanting to believe in the bright shiny future of hard fact. Here, Torday is clever to draw some ambiguity over the ‘truths’ given by the Queen of the Unreads – a shady figure although physically illuminated in bright numbers, with a body that’s essentially fluid – much like her facts. She is mirrored of course on the White Witch. By casting his war as story vs fact Torday is speaking to the very heart of what is happening in our society today. The battles in the book are ferocious, the sides pitted heavily against each other; a fractious world of polarised arguments in an angry climate. Here truth is twisted to lies, story is laid as propaganda, news is fake, and trust is misguided. But this is a novel, and so Torday waves his wand to provide some clarity. The children discover that stories, even of one’s own past, are crucial in providing explanation for our world. That knowledge is valuable and true facts worth remembering, that imagination can provide a crutch when dealing with our own reality. And yet all this is at risk from the fire and fury of the Never Reads – the ignorant. This last ‘shelf’ of books poses a threat to both the Reads and the UnReads. Whether the threat of the ignorant recalls the Nazi book burning, or Trump’s reported lack of reading will depend upon the reader – and this too is where Torday makes another point. This book is about the power of the reader, and particularly the child as reader – again a paean to those Victorian and Edwardian children’s authors, Carroll, Lear, Barrie, Milne, and CS Lewis who understood the deep influence of the literature people read when they were children, and the power of the child to see wonder in the world. By the hopeful end (this is a children’s book), the reader understands their own power and also how to use it wisely in reaching across the gulf to understand another’s point of view, recognising that humans have more in common than that which divides them. There is much more here too – the importance of libraries, a clever nod to the evil of numbers in WW2, building the new without destruction of the old, an understanding that not all children are avid readers – Simon in the novel is dyslexic in a time when dyslexia wasn’t recognised. But above all, there is the beauty of Torday’s writing in telling a good story. 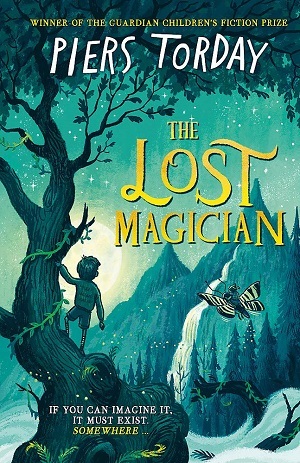 The Lost Magician proves that Torday is on top of his game in spinning the storytelling magic – this magician is anything but lost and any reader who picks up the book will be well and truly found. You can buy it here. 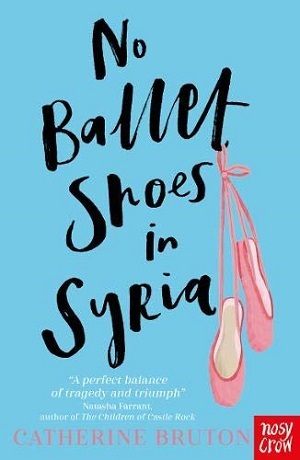 The sequel to the award-winning The War that Saved My Life, published in 2015, this extraordinary book manages to encapsulate a feeling of extreme hope and love despite the many traumatic aspects of the protagonist’s life (and those around her). It’s easy to understand the background of the novel without having read the first title, although it is so good that I’d encourage readers new to Kimberly Brubaker Bradley to go back and read the first before this one. The War I Finally Won is set during the aftermath of 11-year-old Ada’s recovery from corrective surgery for her clubfoot. She has been rescued from her abusive birth mother (mainly by the fact that an air raid bomb has killed her mother), and is now living in the countryside with her younger brother Jamie, and her new guardian, Susan. As well as dealing with the fallout of a childhood of abuse, and therefore a distinct lack of ability to trust, Ada has to deal with a world at war. Brubaker Bradley encapsulates wartime rural life with aplomb; exploring details of the class structure, love for animals, the dangers of disease, anguish for those sent abroad to face combat, and the everyday struggles for survival with rations, blackouts and dispersed families. 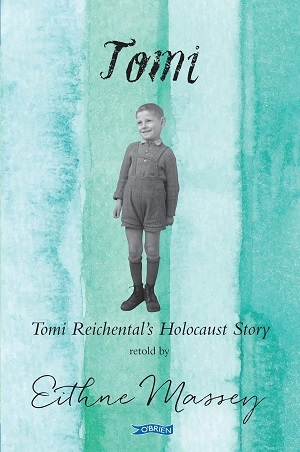 When a young Jewish German refugee comes to stay, what happened to German Jews during the war is explored gently and sensitively, and there are references to Bletchley too. Grief is touched upon, with references to both Susan’s loss, and a grief that comes later on in the book, and it is delicately nuanced and sympathetic. With so many conflicted and damaged characters gathered in one place, there is bound to be drama, but Brubaker Bradley never stoops to melodrama to eke out her story. 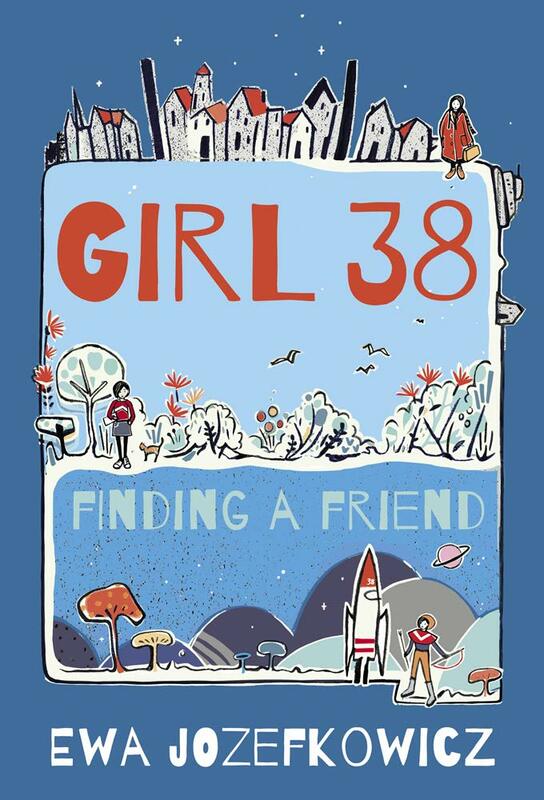 This is an empathetic, realistic and in the end, joyful story of a young girl coming of age in the most difficult circumstances. However, her courage and empathy pull her through and readers will get lost in the landscape and characters portrayed. 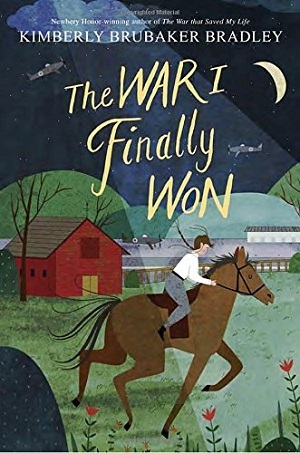 A most readable and enthralling story for this age group, this is a thoughtful and wise book, well worth adding to the canon of World War II fiction for middle grade readers. You can buy it here. Sarah Baker’s first novel, Through the Mirror Door, is an historical novel with a time-travelling touch. There’s nothing supernatural about her latest book, Eloise Undercover, a historical novel documenting a girl’s assistance to the French resistance during the Second World War. Cleverly, Baker has set her novel in the same area of France as her first, using the same house, Maison de Noyer, as a focal point. This time, though, it is the Nazis who are occupying the space. With a couple of smartly dropped hints to her first novel, this latest is a sensitive and plot-twisting drama following those who were brave enough to stand up to the foreign invaders who persecuted minority groups. With a courageous heroine, luscious descriptions of baking, and a clever use of lessons learned from reading mystery stories, this is a wise and tender read. Here, Sarah Baker explains how it came about. Eloise Undercover is set in France during WW2. Eloise lives a short bicycle ride away from Maison de Noyer, the house that appears in Through the Mirror Door. The book is a prequel, of sorts, and there are a number of reasons why I decided to set it during the Second World War. Both my grandfathers and my great-uncle fought in WW2 (Major, Lieutenant Colonel and a Spitfire pilot). My great uncle would tell me stories, which I’d include in school projects, my favourite being the one where he was shot down, escaped from the Germans, was hidden by the French Resistance and then credited with liberating an entire town. Other tales I’d learn later, about Grandfather H wading ashore on D-Day carrying not a weapon, but a violin. His task was to get all the landing craft back to Southampton as fast as possible to bring in the next wave of soldiers. He was due to play a concert that evening, so to ensure he’d make it back, he took his violin to Normandy. Grandfather W, however, couldn’t bear to talk about it, so we didn’t. That led me to read everything I could, to understand why. War stories are important and the Second World War is a period of history that’s close enough to feel real. It wasn’t that long ago (relatively speaking) and many of us had or have a family member that got caught up. We have excellent records of it, even films and photographs, as well as personal accounts. I think the scale, the magnitude of what happened, the horror, the bravery and the sheer human experience of it all draws us as readers and writers. We remind ourselves, and each other, how important it is not to forget. It was really important for me to get the research right. I read a lot of middle grade and adult books, either set or written during WW2 (I’ll be sharing my bibliography very soon). I also did a lot of internet research. I work visually so I create Pinterest boards for each book to help me ‘see’ the characters and place settings. It’s really handy to be able to check the correct uniforms, weapons, vehicles and boats used too. I spent quality time at the Imperial War Museum in London and I asked my Dad a lot of questions (he’s a bit of an unofficial WW2 expert). My editor, Melissa, helped too. Any mistakes are mine. But although Eloise Undercover is set during the war, it’s not simply a war story. It’s a tale of bravery and friendship and how far we’ll go for the people we love. I think, in the end, that’s what drew me to this period of history, a time of such fear, uncertainty and upheaval. I‘m thrilled to share Eloise’s adventures and a little more of Maison de Noyer with readers today. ELOISE UNDERCOVER by Sarah Baker, out now in paperback (£6.99, Catnip). You can buy it here. Was it unfair to split the audience into cats (Judith Kerr) and dogs (John Burningham)? In actuality, Nicolette Jones of The Sunday Times did point out the similarities between Judith Kerr’s work and John Burningham’s work. They both had huge success with their debut books, The Tiger Who Came to Tea and Borka respectively, and Nicolette Jones also showed the audience slides of the little detailed parallels between the two illustrators’ work – depictions of a cat and dog peeing, a baby in a blue romper – much to the amusement of the audience of school children. This was on September 29th, at The Old Vic Theatre in London, where I was a guest at The Children’s Bookshow, a charity that runs an annual tour of children’s authors and illustrators around theatres and venues in the UK for schoolchildren. John Burningham set quite a high bar for illustrators back in 1963 when he published Borka. Not only was he the first to win the Kate Greenaway Award for a debut picture book, but his was also the first children’s book that Jonathan Cape published. It wasn’t to be the last. Unique it may have been, but it also depicted a now well-worn trope in children’s literature – that of a child, or in this case a goose, who doesn’t fit in. Judith Kerr’s Tiger also boasts enormous longevity, with its now familiar warm domestic scenes, and like Borka, shows great sensitivity in the emotions it depicts and elicits. And whether it was discussing first signs of a promising career, their work, or their travels, both illustrators showed their warmth and zest for life in Friday’s conversation. “I wasn’t the most intelligent child,” she says, but she was clearly talented, for her mother had the foresight to save her childhood drawings, bringing them with her in a small suitcase from Germany. He may not have been to the land of ideas, but it certainly seems as if he has. His latest book shows the quirkiness and specialised way of thinking that many of the top children’s authors and illustrators possess. There is a purposeful naivety to his drawings, but also an idiosyncratic approach to the storytelling which enables him to see things from a different point of view – Mouse House explores the plight of a mouse family when a pest controller is called in by the human parents. The children of the house write a warning note to the mice, enabling them to leave before their execution. Of course, as with many children’s critics, Nicolette Jones reads into this the plight of refugees, perhaps echoing the experiences of Kerr, who is also on stage, recounting her refugee childhood. But it is this very quality that distinguishes Burningham’s work – the ability to read the narrative whichever way one is inclined. For both illustrators, there is no end to the ideas they have, as proven by their prolific output. Whether inspiration is taken from true-life occurrences, such as Kerr’s father, who for a short time attempted to adopt a seal, retold more kindly in Mr Cleghorn’s Seal, to Burningham’s take on the world around us in such books as Whaddayamean, an exploration of arms control and pollution. Human beings like to classify and label things – it’s how we distinguish one thing from another, it’s how we name things to be able to convey and signify ideas to each other. One only has to look at John Locke’s An Essay Concerning Human Understanding to see a grasp of these principles. In writing, we like to clarify the difference between prose – from the Latin meaning straightforward – and poetry. Tomorrow is National Poetry Day, and children in schools up and down the country will be pulling out poetry from their bookshelves, and hopefully reading it and enjoying it. One of our foremost children’s poets is Brian Moses, but this National Poetry Day, he’s also published a prose novel. Of course sometimes the line between poetry and prose is blurred. Both communicate ideas, feelings, a story; and both play with language, crafting it so that what is said is not only communicated in language but also by the choice of language, the positioning of the words, the use of punctuation. 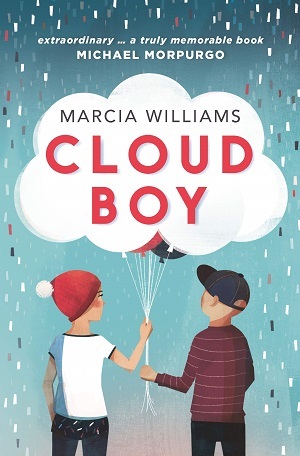 Two authors (Sarah Crossan and Kwame Alexander) immediately spring to mind when crossing the borders between the genres, because most readers think about novels as being written in prose form, whereas these two write some of their novels in free verse poems. There are some who call poetry a form of art, and prose merely communication; but overall I think the distinction would have to be the sound crafted from poetry – the overarching stretch of the meaning by the way the poem sounds. With prose, the meaning is inherent within the text, held within it. Python doesn’t ring with the same sounds as Moses’s poem, The Snake Hotel, for example (which you can listen to here), but it definitely strikes a chord of fear in the reader, and is written in clear, precise prose. Daniel lives with his zookeeper father, and also with his father’s pet snake, a python residing in the attic. Unfortunately, Daniel is terrified of the snake and his imagination conjures up the horrors of the snake’s escape from its cage. But added to Daniel’s nightmares is his waking life, in which he is bullied by a girl gang who roam the streets on his way to and from school. When he starts to study the Second World War at school, as well as taking refuge from the girl gang in his grandfather’s house, the stories of the past start to merge with Daniel’s current fears, and before long snakes, girls and ghosts of the past all converge. Moses’ prose is certainly more straightforward than some of his poetry, but it still conveys plenty of emotion. A whizz with language, the author uses his prose form to whip the plot at pace, and with economy, so that action is always forefront, all the time managing to eke out enormous authenticity in the characters. From Daniel and his friend Errol and their believable camaraderie, to the relationship between Daniel and his grandfather – the weariness from boys who despair of that generation’s ‘going on about the war’ and so rarely visit, but also seek wisdom and enlightenment and eventually realise that their grandparents are real people with exciting stories to impart. The book is set in the 1980s with all the freedom afforded to children that this entails – ghost-hunting on their own, and the lack of health and safety implied in keeping snakes in attics, and yet the novel also touches on parental break up and a child returning to an empty house from school – something that feels completely up to date. An entertaining mix of history, the supernatural, contemporary families, and snakes. You can buy your own copy here.